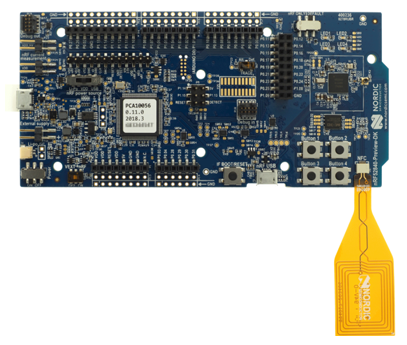 We're extremely proud to announce our latest design win for Nordic Semiconductor nRF52840. The Golledge crystals MP06003, MP07668 and MP05346 have been approved for use with this new SoC. The new nRF52840 SoC from Nordic Semiconductor is a multi-protocol system on chip supporting multiple wireless protocols including Bluetooth 5, ANT, IEEE 802.15.4, Thread, 2.4GHz proprietary protocols. The nRF52840 also offers a huge range of peripheral functionality including NFC, USB 2.0, multiple interface options and on-chip cryptographic functionality. The Golledge MP06003 is included within the BoM of the nRF52840 development board and meets the full requirements of the 32.0MHz crystal oscillator (HFXO) required by the nRF52840, including circuit condition of 8pF for low power consumption, an ultra-miniature 2.0 x 1.6mm (2016 form factor) package, ±10ppm frequency tolerance, and tight ±20ppm stability. If you'd like more information about the MP06003, part of our GSX-223 product family, you can view the GSX-223 here, or contact a member of our team for more details about the MP06003 part specifically. The nRF52840 product specification also provides details of an optional low frequency external oscillator, the use of which enables greater stability, more accurate time keeping and lower current consumption than the internal RC oscillator within the SoC. Golledge MP07668 and MP05346 have both been approved for this use. MP07668 features an ultra-miniature 2.0 x 1.2mm (2012 form factor) package, perfect for ultra-miniature projects such as wearables, whereas the MP05346 features a package of 3.2 x 1.5mm, with reduced pricing in comparison to the MP07668, ideal for projects where package size is not paramount. 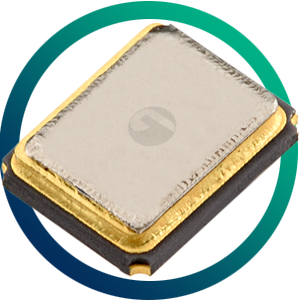 The MP07668 is one of the parts within our GWX-2012 family of surface mount crystals. You can find more information on the ultra-miniature GWX-2012 family of 32.768kHz products here. Alternatively the MP05346 crystal is available from our popular GSX-315 family of products. You can find further information on the GSX-315 product family here or speak to our expert team today about the MP05346 by calling +44 1460 256 100. For any other queries about using Golledge crystals with the Nordic Semiconductor nRF52840 SoC get in touch with our team today for expert advice.